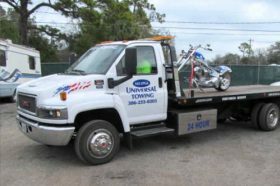 Universal Towing is a full-service towing company based in the Daytona Beach, Fla.-area, boasting 17 years of service. We have state-of-the-art equipment to handle emergency and non-emergency services. We can tow your vehicle out of any situation, whether on the side of the road or the bottom of a lake. Universal Towing also offers unbeatable parking lot management services. Our drivers, dispatchers, mechanics and managers have taken safety training for effective towing procedures. Customers can depend on our certified, knowledgeable team of professionals. 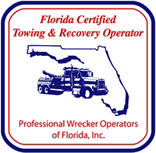 Universal Towing is fully licensed and insured, and covers the complete Central Florida area. 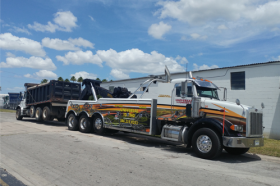 We provide fast and efficient towing and recovery services 7 days a week, 24 hours a day. 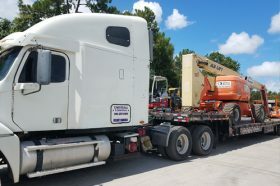 We are a trusted provider of towing and recovery services for the Florida Highway Patrol, Volusia County Sheriff’s Department, Daytona Beach Police Department, Port Orange Police Department, New Smyrna Beach Police Department, Ormond Beach Police Department, United States Postal Service and Florida Power & Light. Universal Towing is an Equal Employment Opportunity Employer and a drug-free workplace. 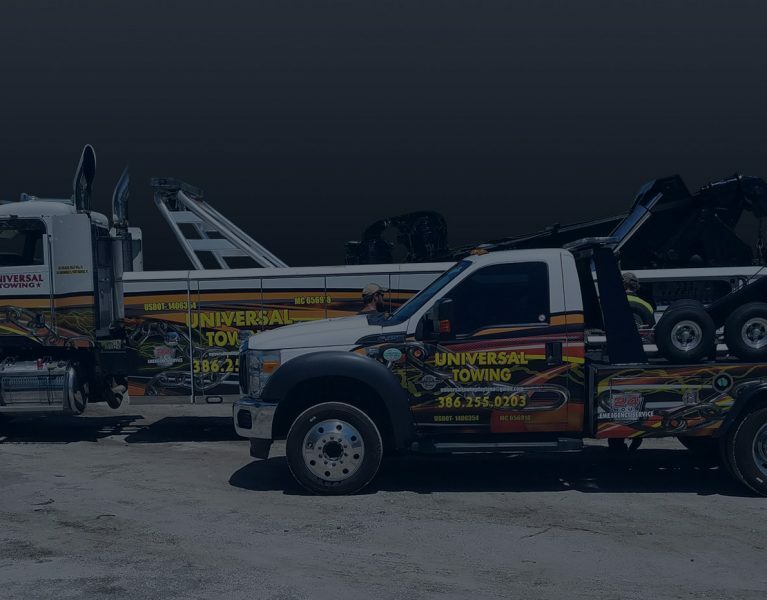 Universal Towing assists with your towing and recovery needs – from 4X4 recoveries, accidents, equipment moving and container hauling, even underwater recovery. We do it all. If you run into a situation, Universal Towing will care for your bike as if it were ours. 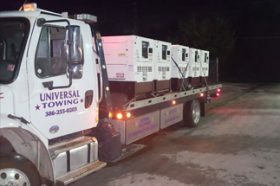 Universal Towing is a heavy-hauling expert, with the equipment and superior trained staff to move almost anything. 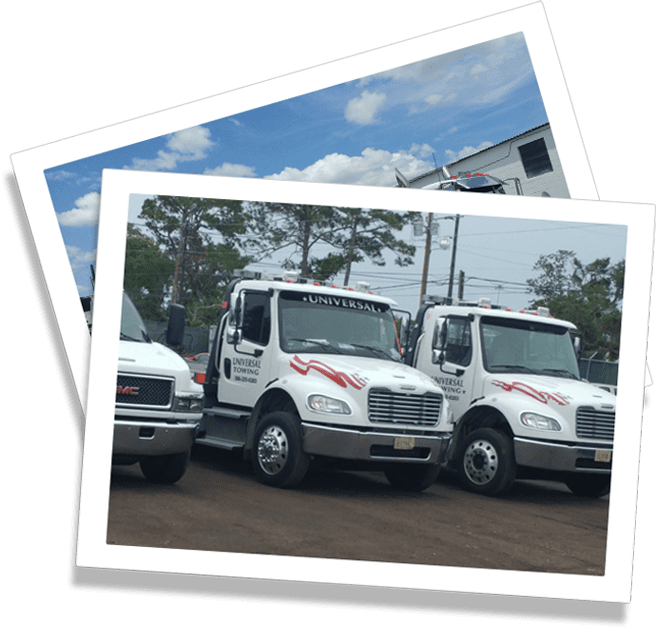 Universal Towing offers additional services to take care of other towing and recovery needs, from parking lot management to vehicle auctions. Apr 17, 2019, Angela D.
Apr 9, 2019, Kimberly L.
Apr 8, 2019, Ben R.
Apr 7, 2019, Sharon G.
Apr 5, 2019, Erik C.
Apr 3, 2019, Lacresha R.
Apr 2, 2019, Robert H.
Apr 2, 2019, Joseph S.
Apr 1, 2019, Leif L.
Apr 1, 2019, Pat M.
Mar 31, 2019, Ryan H. B.
Mar 31, 2019, Mike L. (. V. ). Mar 30, 2019, David W. I.
Mar 30, 2019, Ron B.
Mar 26, 2019, Warren P.
Mar 25, 2019, Ms T.
Mar 12, 2019, Julie S.
Mar 11, 2019, La F. C.
Mar 3, 2019, Patience B.